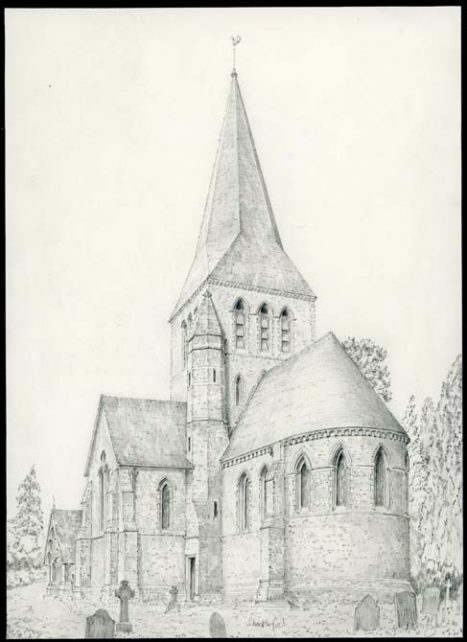 Original drawing by John Clark of the church of St. Mary in Shackleford. The drawing shows the front elevation with the rounded end wall prominently shown. The tower is central to the picture and there are a few graves shown in the foreground. Pencil on cream drawing paper.